Custom Logoed Corporate Apparel, Clothing, Workwear & Athletic Wear. 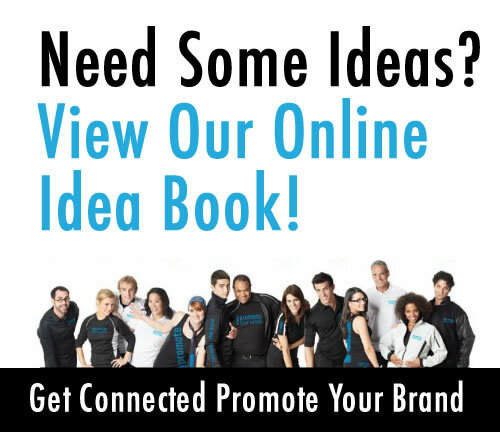 Dress for success with our custom logoed corporate apparel, workwear and athletic wear! We offer our clients a diverse range of quality garments. Clothing can be worn as corporate wear, uniforms, team wear or given to that special client. Tristone can customize all clothing or promotional items with your logo or insignia to reflect company colours & image. From screen printing, chenille, embroidery, digital heat transfer, raised silicone heat transfer, laser etching, tackle twill, appliqué/reverse appliqué, sublimation, flock transfer, reflective transfer, patches, emboss/deboss, liquid metal, through to a custom made or customized product tailored to meet your specific request. Work with our team today to execute your logo, brand or design in an innovative way, using leading-edge decorating techniques. High density decorative stitching on fabric that evolved from handwork to today’s high-speed, computerized multi-head machines. With state of the art embroidery equipment, thread and digitizing software, we can embroider artwork and logos onto a wide range of apparel and promotional products. It’s the ideal decoration for a variety of fabric and large format applications at a low cost. The process of transferring images to a large variety of products without inks or screens is possible with heat transfer technology. Perfect for waterproof fabrics. A die-cut mold is used to create a high definition, durable, multicolour, raised silicone 3D transfer that can be applied to essentially any fabric. The 3D texture creates a high-quality, premium look to your logo or design. This next generation tone-on-tone decoration technique uses a high-energy beam of light to etch into fabrics while moving across a pre-determined course. This technique is ideal for etching extremely precise and intricate details into synthetic fabrics such as fleece. A type of embroidery made from loops of yarn, resulting in a finished design with soft, fuzzy appearance. It offers a sophisticated collegiate or high-end corporate look with tactile richness. A form of appliqué created using polyester twill material which is layered and applied to the garments with a border stitch. This is available in a variety of fabrics and application stitching. Appliqué can be combined with embroidery to create a unique look. From simple logo placement to stunning graphics with photorealistic details, dye sublimation is ideal for team uniforms and promotional apparel with polyester fabrics. Flock transfers take your design to a whole new dimension. The faux finish and 3D appearance is great for adding texture to any design. Engineered to reflect light. Reflective transfers are designed to increase visibility for workers, joggers or anyone who spends time outside. Premium quality embroidered, sublimated, PVC and woven patches can be sewn on or heat sealed onto the fabrics. This decoration creates raised (embossed) or sunken (debossed) designs on the fabric surface. Both of these decorative effects work well with leather and many other fabrications. Liquid metal is a versatile 3D decoration that can have a metallic or non-metallic finish. It’s ideal for application on melton jackets. Tristone is committed to providing you with innovative products and services that will support and enhance your business image. We also offer an entire range of wearables that are made in Canada. Contact us for details. Check out the direct links below for apparel and caps from leading industry brands. 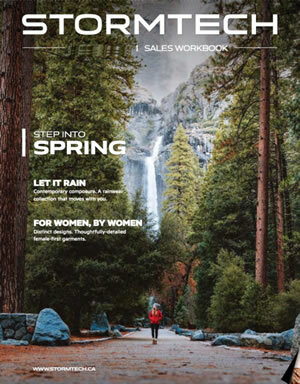 Stormtech Brand including Outer Wear, Fleece and Hoodies, Bags, Outdoor Wear for Mountain, Trail and Camp, and Urban Wear for Commuting, Studio and Casual Wear. 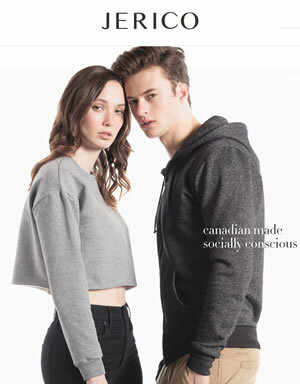 Canadian made socially conscious apparel that includes T-Shirts, Hoodies, Sweatshirts & Sweatpants, Polos and Golf Shirts. All products are knit, dyed, cut and sewn on Canadian soil. 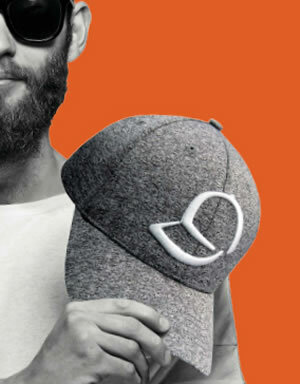 All kinds of headwear options – Check out our stock designs ready to be embroidered and shipped quickly, to complete customized options to create your dream cap! American Apparel, Anvil, Bella + Canvas, Burnside, Calvin Klein, Champion, Flexfit, Gildan, Kati, King Fashion, Lacoste, M&O, New Balance, Nike, Oakley, Puma, Puma Golf, Q-Tees.